NAD+/NADH and NADP+/NADPH are electron carriers. And they're valuable because electrons play critical roles in carrying out many reactions in the body. NADH is notably known for it's role in generating ATP, which serves as fuel for the body. NADPH is generally known for its role as a reducing agent for mitigating oxidative stress. In the cell, NADH is generated in the TCA cycle from NAD+ and H-. NADH is generated from NAD+ in several parts of the citric acid cycle. NADH subsequently serves as an oxidizing agent in oxidative phosphorylation (where the majority of ATP are generated). Inside of cells, the ratio of NAD+/NADH ratio is roughly 1000 to 1.2This is because NAD+ plays an important role as an oxidizing agent for catabolic reactions in the cell. The most important role of the NAD+ is to serve as an oxidizing agent in the citric acid cycle (TCA cycle), where NAD+ accepts electrons from Hydrogen particles that are released as byproducts in several of the steps in the cycle. The NADH particles then help to fuel the ATP synthase enzymes in the oxidative phosphorylation (electron transport chain). In oxidative phosphorylation, H+ ions flow through the ATP synthases on the mitochondrial membrane. In turn this catalyzes ATP synthase to phosphorylate ADP to ATP, the valuable energy currency of the cell. At the mitochondrial membrane, a process called oxidative phosphorylation is responsible for producing ATP. Hydrogen ions from NADH and FADH2 flow across complexes (with the gradient) and in turn this is coupled into oxidation reactions of coenzymes on these complexes. The electrons released get passed from one complex to another until finally reaching complex 4, in which electrons are accepted by oxygen and combined with hydrogen to form water. The excess of H+ ions in the intermembrane space will flow through the ATP synthase back to the mitochondrial matrix side, and this in turn catalyzes ATP synthase to phosphorylate ADP into ATP. This process is repeated over many times in order to generate enough energy for the cells. In normal health, the ratio of NADP+/NADPH in cells is roughly 1 to 10 -- the relative amount of NADPH is greater.3This is important because NADPH is needed to serve as an reducing agent for anabolic reactions such as fatty acid synthesis.4,5Further, NADPH when serving as a reducing agent is valuable for mitigating oxidative stress, in particular oxidative stress the happens as a result of oxidative phosphorylation. So its clearly important to have adequate balance of NAD+/NADH and NADP+/NADPH. How should an astute biohacker modify his or her dietary intake accordingly? Supplementation of the diet with NAD or precursors of it has been studied in various disease contexts, as well as in animals but not in healthy humans. Yes, there is a logical reason why supplementing your body with either NAD+ or nicotinamide riboside (a precursor to NAD+) may be helpful. There are studies in specific disease cases such as dyslipidemia where nicotinamide riboside or niacin have been helpful for treatment. With respect to cognition, there are limited studies in healthy people. Furthermore, it's important to note that overdose of supplements like nicotinamide may lead to unwanted side effects such as flushing of the skin. Kruger, N. J., & von Schaewen, A. (2003). The oxidative pentose phosphate pathway: structure and organisation. Current opinion in plant biology, 6(3), 236-246. Zhang, Q., Piston, D. W., & Goodman, R. H. (2002). Regulation of corepressor function by nuclear NADH. Science, 295(5561), 1895-1897. Veech, R. L., Eggleston, L. V., & Krebs, H. A. (1969). The redox state of free nicotinamide–adenine dinucleotide phosphate in the cytoplasm of rat liver. Biochemical Journal, 115(4), 609-619. Wakil, S. J., Stoops, J. K., & Joshi, V. C. (1983). 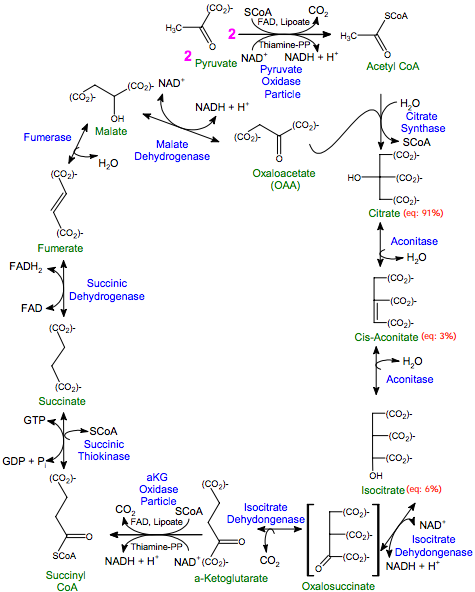 Fatty acid synthesis and its regulation. Annual review of biochemistry, 52(1), 537-579. Horton, J. D., Goldstein, J. L., & Brown, M. S. (2002). SREBPs: activators of the complete program of cholesterol and fatty acid synthesis in the liver. The Journal of clinical investigation, 109(9), 1125-1131. Jacobson, E. L., & Jacobson, M. K. (1997). Tissue NAD as a biochemical measure of niacin status in humans. Methods in enzymology, 280, 221-230. Hegyi, J., Schwartz, R. A., & Hegyi, V. (2004). Pellagra: dermatitis, dementia, and diarrhea. International journal of dermatology, 43(1), 1-5. Bogan, K. L., & Brenner, C. (2008). Nicotinic acid, nicotinamide, and nicotinamide riboside: a molecular evaluation of NAD+ precursor vitamins in human nutrition. Annu. Rev. Nutr., 28, 115-130. Traba, J., Kwarteng-Siaw, M., Okoli, T. C., Li, J., Huffstutler, R. D., Bray, A., ... & Siegel, R. M. (2015). Fasting and refeeding differentially regulate NLRP3 inflammasome activation in human subjects. The Journal of clinical investigation, 125(12), 4592. Handschin, C. (2016). Caloric restriction and exercise “mimetics’’: Ready for prime time?. Pharmacological research, 103, 158-166.